I'm on a roll. I've got so many ideas floating in my head on what I want to try. I've made two quick cards tonight after seeing the new Runway Inspired Challenge. 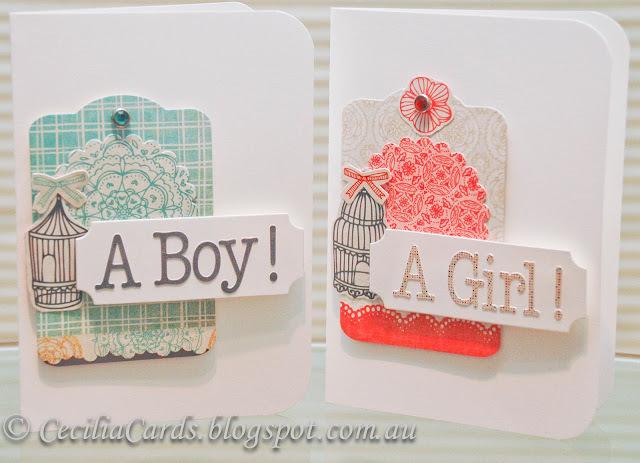 The challenge is to make two Baby cards for a Boy and a Girl. I based my card on this week's Retro Sketch challenge. This card is so easy, it does not require stamping, just cutting out and sticking together using my favourite paper collection Basic Grey Paper Cottage which I won from a BG challenge. I also tried out my new MFT Dienamics dies and my new corner rounder punch. The two cards were done in no time!! I'm also submitting these cards into Simon Says Stamp challenge as their July kit contains the same BG collection! Thanks for dropping by! Really really fun cards for both challenges. These are adorable! So very creative. 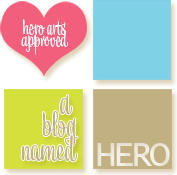 :) Thank you for playing in the "Anything Goes" challenge over at the Simon Says Stamp challenge blog! Oh my! What adorable cards! They are just too cute! 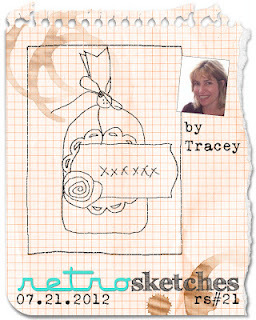 Thanks so much for playing along at RetroSketches this week! These are so adorable!!! Great idea with those cute tags. These are fabulous! Thanks so much for playing along with the Runway Inspired Challenge Baby Shower! The random winners will be announced on the RIC blog soon. Good luck!